Come join us at Poplar, Blackwall & District Rowing Club – a friendly rowing club based on the River Thames, London. Rowing is fun, a great way to meet people and a fantastic way of keeping fit. At Poplar Rowing Club we welcome new beginners to the sport of rowing. 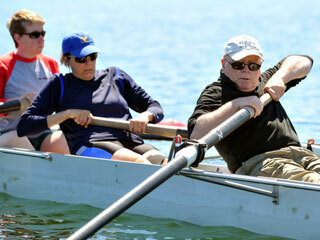 We run our Learn to Row course for adult rowers three times a year. If you’re an experienced rower you can join either our coached Senior squads or get involved with the sociable Explore group. Juniors are specifically catered for with dedicated coaching and support. There is something for everyone. 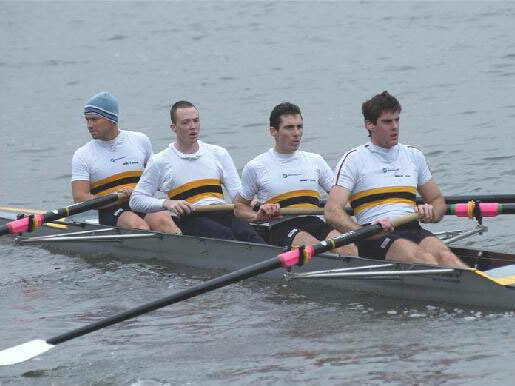 Poplar Blackwall and District Rowing Club organise a number of rowing events each year including the Docklands Head, the Greenwich Head and the annual club sculling championships, as well as various social events across the calendar. 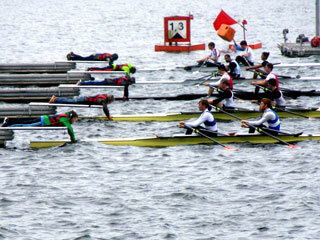 PBDRC rows on both the tidal waters of the River Thames and the 2000m multi-lane Royal Albert Dock course. Last weekend saw some huge racing successes and some big firsts for the club! Sara Brewer and Ann Prestige will be rowing the Atlantic this year in aid of Alzheimer’s Society and Street League! Poplar Blackwall and District Rowing Club is a rowing club on the nothern bank or the River Thames opposite Greenwich on the Isle of Dogs, London. We are open to all levels of rowers for fun, practice, training and competition.